Nowadays, people wish to design their own clothes. You can customize your own clothes and even you can earn some money if you decide to sell your design. This article summarizes the benefits of custom clothing and ideas for customizing your own clothes. Many people are choosing custom clothes because they know that it is the true luxury men/women wear. The fit is the main reason many people consider when thinking about custom clothing. It is always advisable to Customize Your Own Clothes because they always fit and make you look perfect. The custom clothes always use your correct measurement and your size. You can also choose your material, fabric, and other features you want in your custom clothing. Most of the time, readymade clothes make problem to the people because the body structure of everybody varies to that of the readymade clothes. You can customize your own clothes as it can make your dream of the fit dress, formal wear, and coats come true. There are many people who often experience the rapid changes in their physical body. So, ready to wear clothes are not suitable for those kinds of people. They also need to spend more money on alteration cost. So it is better to go for customized clothing. The main advantage of custom clothing is; you can have exactly what you want to wear. Nowadays, custom tailoring services come with varieties of fabric selections so that you can select the fabric of your own choice depending on your budget. You can also try with fabric designs when you are customizing your own clothes. The quality of the fabric will also be good when compared to readymade fabric. You can get a peace of mind over custom made clothes as it gives full satisfaction about your clothing style. There are many custom tailoring services that are available. It is important to select the best custom tailoring service and provide the correct specification. Also, give them enough amount of time to tailoring service so that there are no chances of alteration occurs. There are various options for contacting the best custom tailoring services as many of them are available through the internet and they can be reached via the internet. You can also make booking and fabric selection through their websites. The first step to customize your own clothes is to select the clothes that you wish to customize. 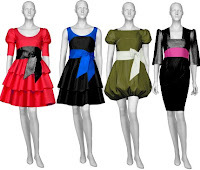 If you want to customize, then select that are torn, dresses which are too big or too small, and so on. Get the necessary accessories like scissors, glitters, ribbons, grommets, lace, buttons, and so on to customize your clothes. You can completely change your shirt by using various options like cutting off the sleeves, making it off the shoulder, and so on. And you can make various designs with the help of the accessories you have. You can be creative like adding lace and other materials to the end of the shorts. It is possible to do various innovative works as you wish.